I was in the room Saturday night when comedian Michelle Wolf began attacking White House press secretary Sarah Sanders. Sanders sat through the insults unsmiling, often looking uncomfortable. I watched the reaction from the sea of journalists and DC influencers packed like sardines into the room at the Washington Hilton as Wolf began leveling her attacks. There was very little laughter. Even the faces of the most liberal reporters cringed during the comments. There was audible groaning. Wolf carried on, reading from her prepared remarks, which also clumsily attacked Kellyanne Conway and made light of aborting a fetus. As Wolf closed out her remarks it was clear to all present that the act bombed. Those in the room knew the backlash would be swift and the mood from Correspondents Association members and White House staff was grim at the parties that carried on throughout the evening. The MSNBC party was set outdoors. It was a cold and rainy night and the event was winding down. Then the unexpected happened. Sarah Sanders walks into the MSNBC party. MSNBC, an openly liberal network that often promotes the vitriol that just attacked her, was the last place you would expect to find Sanders that night. But there she was. And guess what? 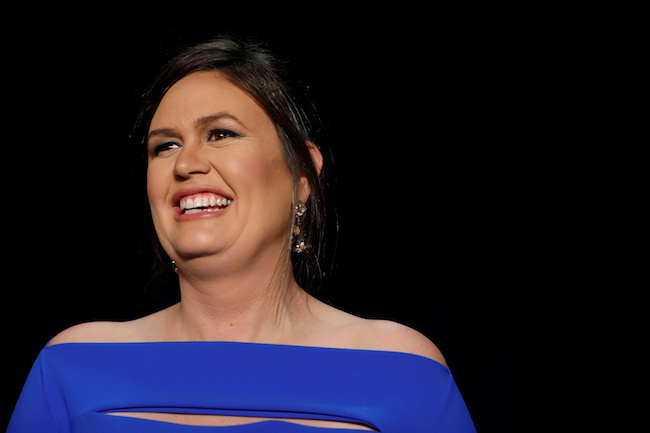 Sarah Sanders was smiling. She owned it. I asked her about the attack and she shrugged, cracked a smile and simply told me that the attacks didn’t bother her and that she’s praying for the comedian. Sanders did not lash out publicly. She did not attack Michelle Wolf personally or professionally. She just forgave her and shrugged it off. 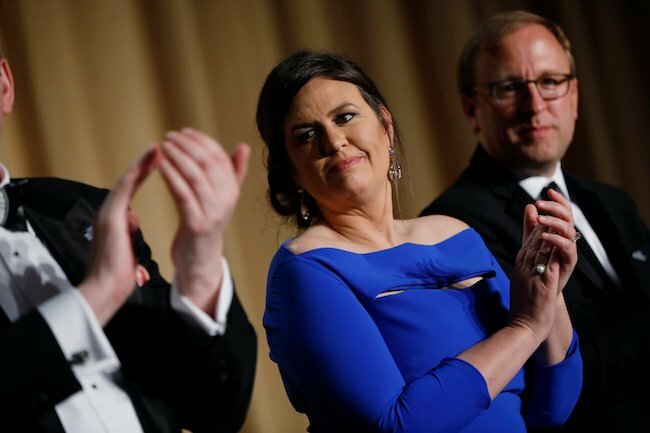 Since then, the White House Correspondents Association has apologized and disavowed Wolf, hundreds of reporters have critiqued the dinner and Sanders has been defended by high-ranking members of the administration and the president himself. Flying into Washington, D.C. as a celebrity to cheap-shot a mother who works in the White House to her face in front of a room of one thousand journalists, simply because you disagree with her politically, is not brave. It’s the definition of a coward and a bully. Putting up with it and forgiving that person afterward?